So many cute things come with babies. Cute clothes. Cute blankets. Cute bedding. Cute noises. Cute faces. And ohhh the cute baby chub! All my babies had some sweet wrinkles. Loved it. One thing that is NOT so cute about babies is all the stuff that comes out of them. Their mouths for one can leave spit up that smells, stains, and is slimy yuck. It’s part of the deal though, so we handle it. 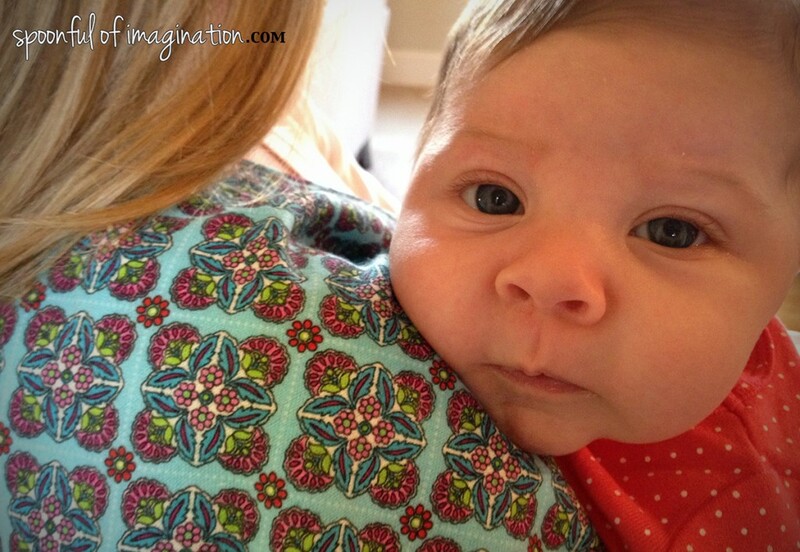 When I had my Reagan, I came up with this simple flannel burp cloth that I love. It is all I used with her. They still look beautiful today too. She uses them as blankets for her baby dolls. Three years later, I am still making these burp cloths. Not for my Reagan anymore, but as baby shower presents. They are one of my favorite gifts to give new moms. 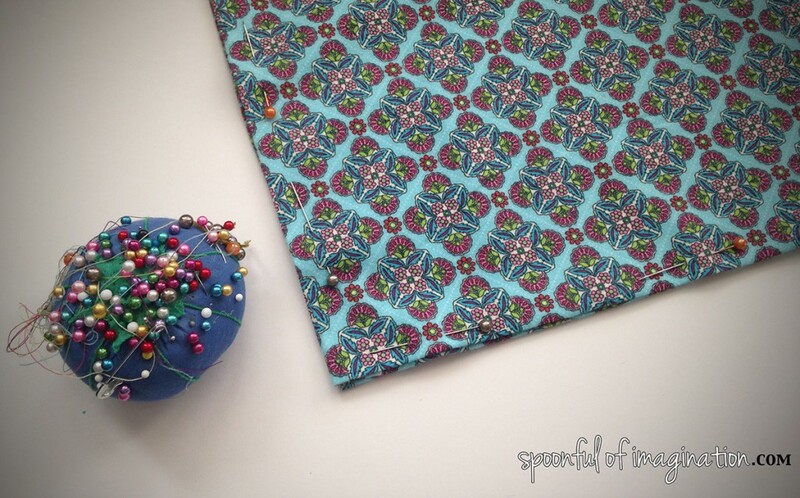 I’m going to show you the basic steps for how to create these burp cloths and then give you a few more reasons why I love them (as well as tell you some other baby items that I love to make and give). When I find a flannel I love, I usually buy a yard regardless. But if you want to make one burp cloth, ask for 1/3 of a yard. I think that size makes a nice fat burp cloth. 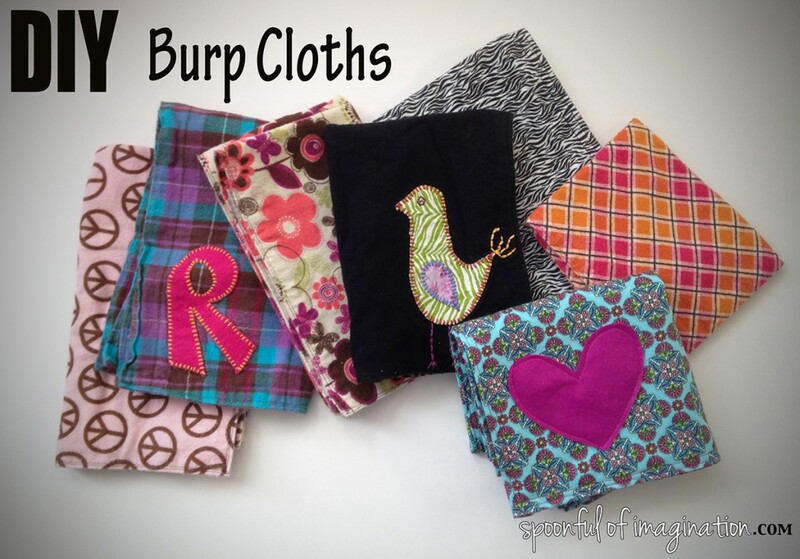 So many burp cloths are too thin or too short and don’t do the job of protecting you from mayhem. I then iron all around my 1/3 of a yard fabric. 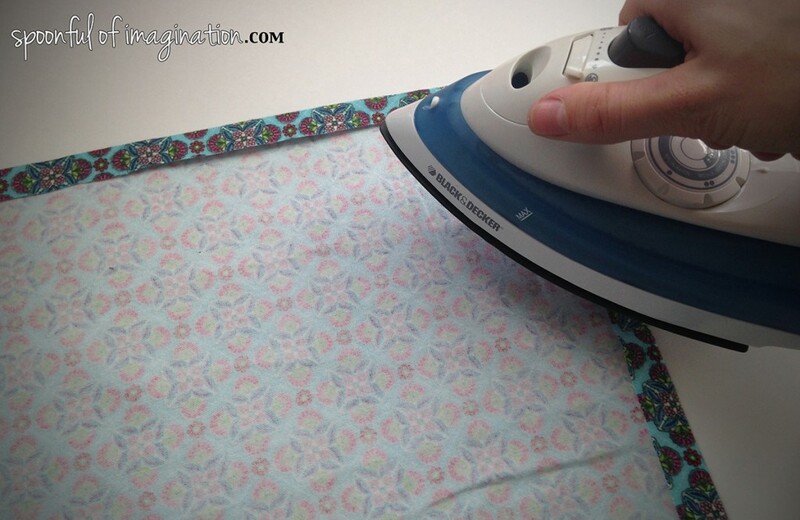 I fold about 1/4″ to 1/2″ seem down and iron it to hold it in place. 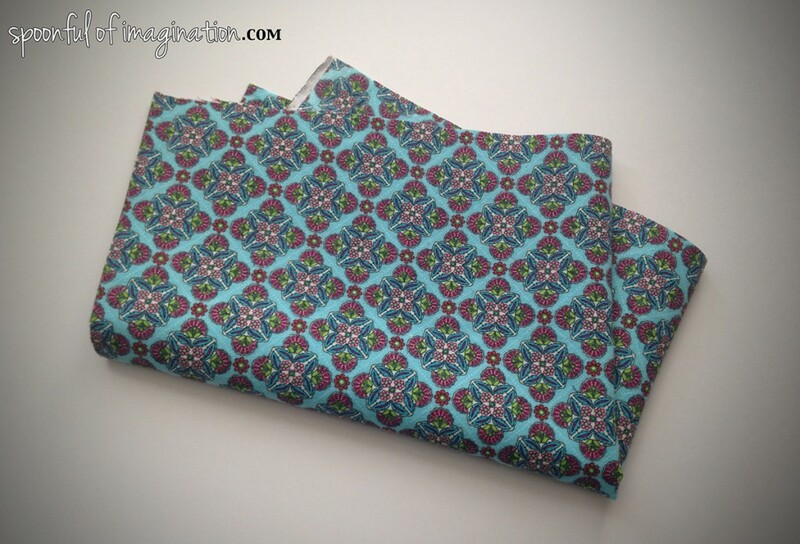 I then fold the fabric over in half and pin all the way around it. 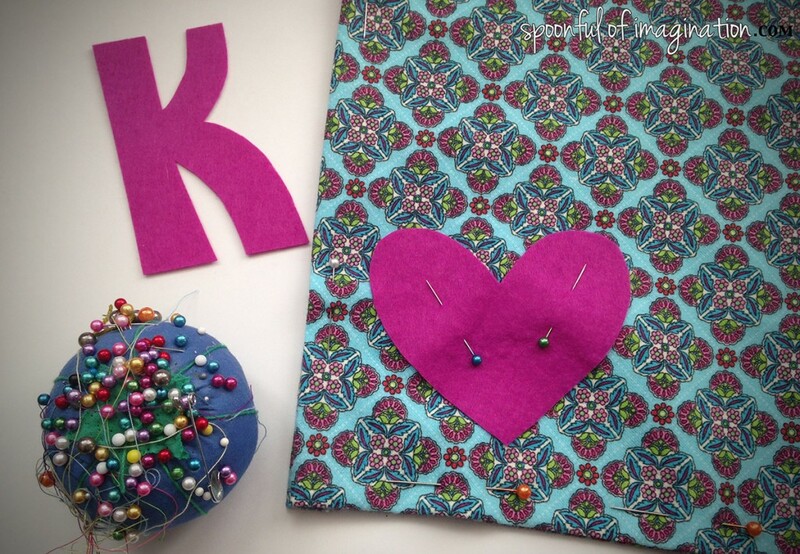 I simply sew around the edge of the now rectangle shape two times. 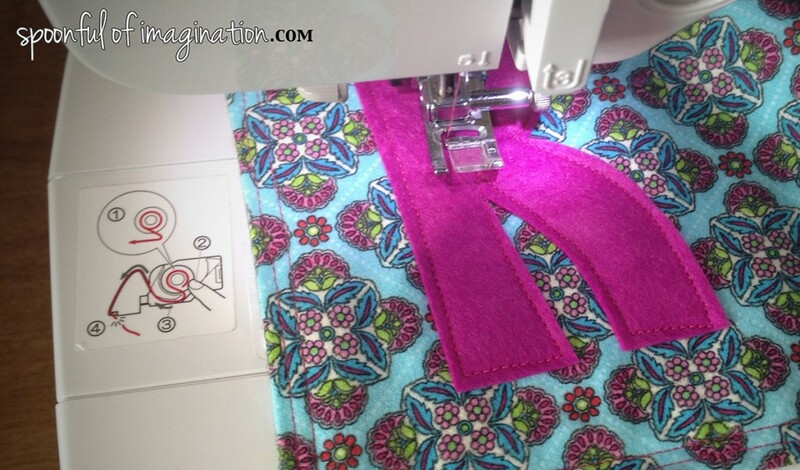 There are foots that you can put on most sewing machine that will sew two lines at once. I just sew around two times. 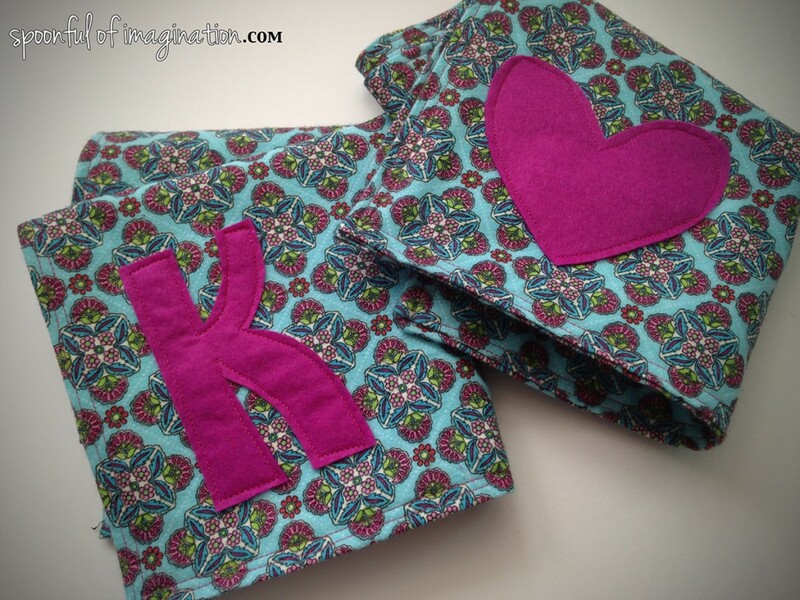 You can also personalize your burp cloth by adding a shape or an initial to sew on as well. I think this burp cloth is the perfect burp cloth. The fabric is so soft. It is very absorbent. Here is the best part! The bright colors and patterns hide stains! So often the popular white cloth diaper type burp cloths get stained and gross. These flannel burp cloths hide all that and are more forgiving. I love to add a few personalized homemade items to my baby shower gifts. I usually get something off the registry and then make a few things to go with it. Some of my favorite items to make are fun gift bags, chiffon flowers for the perfect newborn headband, and even simple wood signs. What about you!? 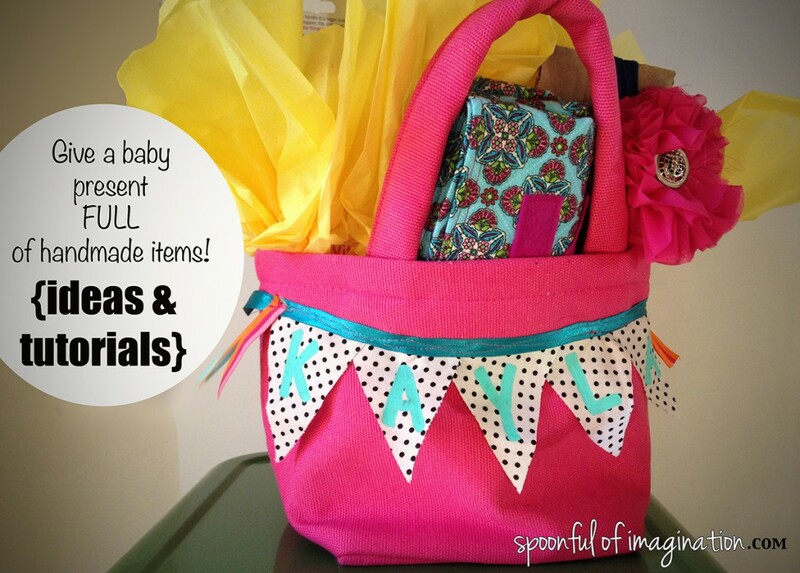 Do you love to make items for your baby shower gifts as well? Thank you so much for stopping by! I hope you have a great week and get to imagine! Adorable! I would have loved one of these when my kiddo was a baby! So cute! Oh I wish I had been crafty when my kids were babies. I definitely would have made some of these! Erica, do you wash the flannel before you sew?